April 13th to April 17th 2015. In materials science, many aspects of interest are influenced or even governed by nanoscale effects. As classical mechanics is insufficient to accurately model a material at this length scale, the use of quantum mechanics becomes indispensable. In quantum theory, a system is fully described by the Schrödinger equation, and although no analytic solution exists for systems with more than one electron, numerical solutions can be obtained. Using clever approximations, developed over the last century, it is today possible to study systems containing hundreds of atoms at the quantum mechanical level, making such approaches relevant for modern materials science. As a result, computational materials research has become a third pillar in materials science, in addition to theoretical and experimental research. To perform quantum computations for materials, a large number of software packages have been developed over the years and are still being developed. The aim of this spring school is to familiarize the participant with a selection of major ab initio codes used in quantum chemistry and solid-state physics: VASP, ABINIT, Gaussian, and CP2K. 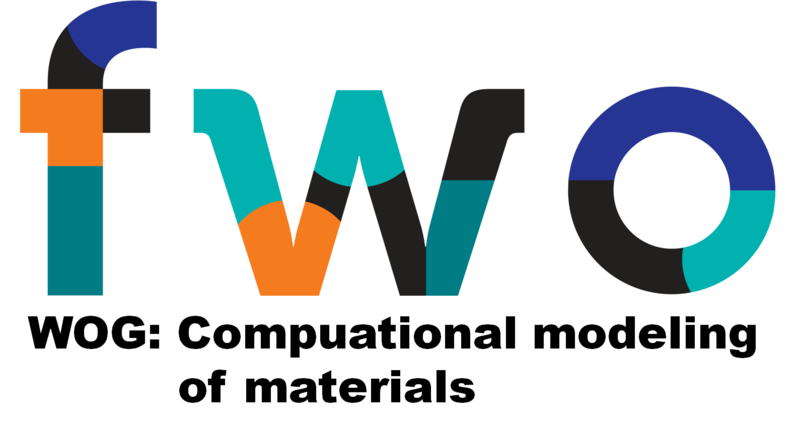 The selected codes cover a wide range of methodologies available in the computational materials science community, with a strong focus on density-functional theory approaches. This makes it possible to present the strengths and weaknesses of these methods. In addition, the participants will learn to calculate relevant materials properties of both crystalline solids and gas-phase molecules. For each code, both basic aspects and advanced topics will be discussed, thus addressing the needs of both new and more experienced users. The basic and advanced level sessions for the different codes will be presented by experts in the field, followed by practical sessions to provide the participants with hands-on experience. This spring school targets both PhD students and post-docs involved in materials science who are interested in performing computational simulations, either as an additional tool for validating their experimental observations, or as their main research focus. For participants who already have some background in computational materials science, this spring school provides the opportunity to get acquainted with other computational materials science codes in a short period of time. Since each code is introduced from a very basic level, no prior experience with the codes is required. However, participants should have experience working in a linux/unix environment using command-line applications. This spring school is intended for an audience of 30 to maximum 50 participants. Priority will be given to universities that are member of the VSC. This spring school is organized by the Center for Molecular Modeling (CMM) of Ghent University in collaboration with the Flemish Supercomputer Centre (VSC). This spring school comprises 5 one-day sessions, from April 13, 2015 to April 17, 2015. Sessions start at 9:00 and last until 17:00, with sandwich lunches at the spring school location. A pdf version of the program can be downloaded here. The first one-day session covers basic concepts of computational materials science from the theoretical point of view, while the other four one-day sessions each cover a specific ab initio materials code. Each of these four sessions contains a half-day session covering basic concepts and usage followed by a hands-on session, and a half-day session covering more advanced concepts and their application in a hands-on session. The participants are introduced to basic concepts in computational materials science and molecular modeling, such as basis sets, k-points, periodic boundary conditions, and exchange-correlation functionals. Each topic is presented in terms relevant to computational materials science. Approximations that are required to get from the Schrödinger equation to a computationally tractable problem are discussed (Born-Oppenheimer, Hohenberg-Kohn-Sham, PAW…) and the different levels of theory available are compared in light of their applicability and accuracy for materials science problems. The role of density-functional theory in solid-state and molecular materials science is discussed and the place of exchange-correlation functionals is elaborated upon. The day will end with a social event: a poster session in which the participants present their current work to the other participants. During this session, the participant comes into first contact with the VASP code. Its basic working aspects are explained. An overview of necessary input files is provided and important parameters are discussed. During this session the participant learns how to perform simple calculations (SCF, relaxation, DOS, bands). During the hands-on session the participant tries his/her hand at a set of provided exercises at his/her own pace. Expanding on the knowledge of session 1, more advanced topics and aspects are discussed. During this session, the participant comes into first contact with the ABINIT code. Its basic working aspects are explained. An overview of necessary input files is provided and important parameters are discussed. During this session the participant learns how to perform simple calculations (SCF, relaxation, DOS, bands). During this session, the participant comes into first contact with the Gaussian code. Its basic working aspects are explained. The differences between molecular and solid state codes is highlighted at this point. An overview of necessary input files is provided and important parameters are discussed. During this session the participant learns how to perform simple calculations (SCF, relaxation, molecular orbitals, frequencies). During this session, the participant comes into first contact with the CP2K code. Its basic working aspects are explained and compared to the molecular code Gaussian and the solid state codes VASP and ABINIT. An overview of necessary input files is provided and important parameters are discussed. During this session the participant learns how to perform simple calculations (SCF, relaxation, DOS, bands). Expanding on the knowledge of session 1, more advanced topics and aspects are discussed, focusing on molecular dynamics. Lecture notes are available on this location and other related teaching materials will be made available below. To apply for this spring school, please fill out the online registration form. Registration deadline: Sunday February 15th, 2015. Registration fee: For PhD students of the doctoral schools program and participants from within the VSC, no registration fees will be charged (except in case of cancelation less than one week beforehand, or no-show. In that case, a fee covering the expenses made will be charged). This spring school is a single event, partial participation is not possible. All sessions will be organized at Ghent University, in auditoria A2 and A3 of Campus De Sterre (S9). Our external lecturers: Martijn Marsman (VASP, Top Left), Xavier Gonze (ABINIT, Top Right), Matteo Giantomassi (ABINIT, Bottom Left), Gian-Marco Rignanese (Bottom Right), and Patrick Bultinck(Gaussian, Center). Everyone hard at work during one of the 8 hands-on sessions. How to get to the spring school.